Emily Galindo, with UC Davis for 34 years, will be the interim vice chancellor of Student Affairs. Chancellor Gary S. May announced further details about his plans to reorganize the University of California, Davis, Office of Student Affairs and to establish the new position of vice chancellor of Diversity, Equity and Inclusion, which he announced last month. Effective May 1, Emily Galindo will serve as interim vice chancellor for Student Affairs. In addition, effective immediately, Rahim Reed will serve as the interim lead for the new office of Diversity, Equity and Inclusion. Galindo is currently the associate vice chancellor for Student Affairs. Reed has served as associate executive vice chancellor for Campus Community Relations since 2001. The new Office of Diversity, Equity and Inclusion incorporates four units: Campus Community Relations (led by Rahim Reed); the Office of Academic Diversity (led by Raquel Aldana); the Office of Diversity and Inclusion, Davis Campus (led by Rich Shintaku); and UC Davis Health's Office for Equity, Diversity and Inclusion (led by Hendry Ton). Reed will oversee the merging and streamlining of these units into one operational division. May will begin a nationwide search for the new vice chancellor for Diversity, Equity and Inclusion in the next month. The nationwide search for the vice chancellor of Student Affairs is expected to begin later this year. Galindo has been with UC Davis for more than 34 years. Her current role includes leadership responsibility for campus housing, dining services, orientation, first-year experience programs and divisional information technology. Her current portfolio includes the largest unit within Student Affairs, and her leadership responsibilities include compliance, information technology and capital projects. Galindo’s most recent accomplishments are the successful transition of dining services on the Davis campus to self-operation following 40 years of contracting out food service. She also provided critical leadership to increasing on-campus housing inventory by more than 2,500 beds in the past 10 years. In 2015, she was recognized by the Association of College and University Housing Officers-International with the James A. Hurd award for her contributions to the housing profession. She received her bachelor’s degree from the University of San Francisco, and her master’s degree from Golden Gate University. Reed has served as associate executive vice chancellor for Campus Community Relations for nearly 17 years. In that capacity, he has been the primary advisor on matters of campus community relations to deans, vice chancellors, vice provosts and other senior campus administrators. He has helped the university chart a course that will ensure attention to those components of the campus’s social environment that affect community, campus climate, diversity and inclusiveness. He received his bachelor’s degree in psychology and black studies along with two master’s degrees — in public administration and social work — from the University of Pittsburgh. 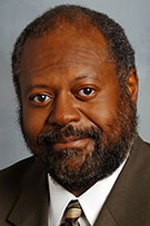 Reed completed his legal studies in 1986 and holds a juris doctorate degree from Rutgers University School of Law.